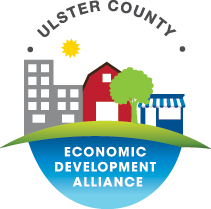 The Ulster County Economic Development Alliance (UCEDA) supports the promotion of Ulster County as the premier location to expand and grow business for the creation of wealth, fostering strong, sustainable, diverse economic opportunities for Ulster County and its communities. UCEDA works to support retention and growth of businesses. UCEDA provides financial support, marketing, facilitation of capacity building and infrastructure programs and collaboration with community, regional, state, and municipal partners and leaders.